According to the LA Times, the American home has over 30,000 items within it. Some reports reveal that we consume twice as many material goods as we did 50 years ago. So, it is not hard to see why many of us feel that our clothes, electronics, documents, and other items are taking over our lives. So, what is the true cost and impact of having clutter in your life? Read on for ways to identify if things are taking up too much space in your home and finances. Without a clear plan for the items you need, clutter can quickly turn into more disorganization. For example, if you decide to purchase a shirt, you may find that you now need pants or shoes to complement the selection. While this is not a problem, if this situation replicates multiple times, then you may find that you do not have space for numerous separate outfits. The same can be said for household items, and electronics. 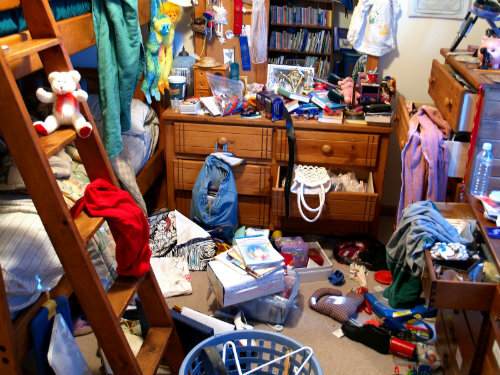 How many times have you lost keys, clothes, important documents or other items due to clutter? This is not uncommon. If the average American owns 30,000 items within their home, it makes perfect sense that it would be hard to find anything in your home. Having a large number of items with nowhere to store them creates a scenario where locating what you need becomes impossible. Items can have an enormous impact on our lives. According to Psychology Today, Americans spend more on shoes, jewelry, and watches ($100 billion) than on higher education. The Wall Street Journal also found that Americans spend $1.2 trillion annually on non-essential goods. So, data supports the fact that we put more money and value on objects than actual experiences. When is the last time you took a vacation with family, went on a hike, or took in a concert? The fact that Americans are spending trillions of dollars on non-essential items is an indicator that money is not being used to acquire long-term wealth. Business Insider revealed that nearly half of Americans are not saving money. While there are a variety of reasons this is the case; it is safe to assume that the acquisition of things contributes to this. Clutter not only creates physical barriers and lack of clarity, but it can also do the same thing to the mind. A study by researchers at the University of South Carolina found a link between workplace stress and clutter. Many of us have repeated many of the same behaviors our parents have. The same will also be true for our children. We hope they will mimic the best parts of us, but since we are imperfect beings, it is likely that they will also repeat some of our mistakes. While this is true across the board, you can still reign in some of your current unfavorable behaviors (acquiring unnecessary items), so that it will be something they do not participate in as they grow up. Clutter can diminish your mental and physical energy. Seeing a room or closet completely in disarray will raise your stress levels, which can lead to fatigue and frustration. On the other hand, having to then clean-up and organize the area will also take a physical toll. So, in many ways, clutter will have a significant impact on your mental and physical well-being. Clutter can also reveal fear in your life. 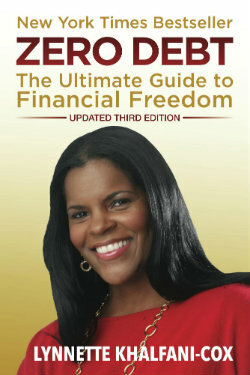 You may fear that others will find that you are not wealthy, so you hold onto items to prove you are. You could also attach various emotions to items, or use them to revisit a specific moment in your life. Giving them up could require you to face fears, feelings, or painful moments in your life that you may not have found you are ready for. It is crucial to understand the role items play in your life to know if they are having more power over you than they should. The critical thing to know is that you are not alone in holding onto items or acquiring things you may not need. As statistics mentioned above have shown, Americans all across the country are struggling with the management of clutter. Understanding the role clutter plays in your day-to-day life as well as your finances while also creating a strategy to diminish its influence, will help you not only save money but also enjoy a minimalist lifestyle that makes each day easier. Get cash. Sell your electronics on sites like eBay, Gazelle and DeClutter. Streamline your wardrobe. Set a strict rule for clothing…if you have not worn it in over a year, donate it. Don’t be a shopaholic. Resist the urge to buy items that you really don’t need. Reclaiming space in your home or apartment. Get rid of furniture that is just taking up space and that you really don’t use.